Warning! If you have a swarm of bees that are threatening the safety of you, your family or your neighbors, don’t hesitate – call your Stanton bee removal experts at Bee Busters! Stanton is a small city in an area of western Orange County that is surrounded by many pockets of unincorporated land. Population growth in this area was historically due to the operation of the railroad. While the rail has been unused for over 60 years, the area set aside for it still exists running through the city. It is occasionally used for parking. The city of Stanton today is around 3 square miles in size and there has been an ongoing debate about retaining cityhood due to the fairly low population density in the area. Stanton still contracts out different service related tasks to outside agencies to save costs. One thing that locals have discovered is that if they need a Stanton bee removal service, calling Bee Busters, Inc. is the way to go. Staffed with those from a bee keeper background, Bee Busters, Inc. can handle stinging insect problems easily. Remaining aware of the density of bees around your property is a key element to spotting a possible problem. Seeing bees in a location with no source of food or water can indicate a colony in the area. Often times this colony will be inside a hollow in a tree, wall, or other object. Calling your Stanton bee removal team to remove unwanted bees, wasps, and yellow jackets is the safest option. Bees leave behind pheromones. 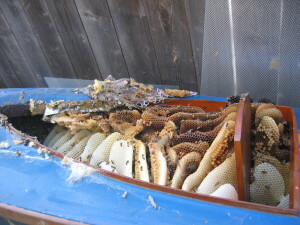 Removal and sealing the area can prevent another swarm from taking up residence. Bee Busters works in your community on both residential and commercial sites. Our skills are the most innovative in the country. Our core services consist of Bee Removal, Bee Rescue and Beekeeping. Stanton Bee Removal: Problem bees pose risks due to wild Africanized Honeybees. We locate and remove the colony or swarm for public safety. We go a step further to educate the property owner to prevent future bee related issues. 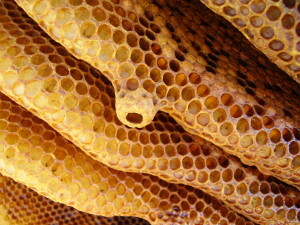 Stanton Beekeeping: We have a range of bee keeper services. We do on site pollination, group educational presentations, offer training for those interested in bee keeping and sell fresh local honey. Keeping domestic bees is a great hobby for any age. If you want more information please give us a call. Have bee, wasp and yellow jacket removal, rescue and keeping questions? 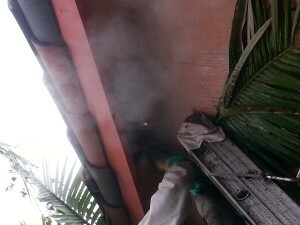 For over 25 years, Bee Busters, Inc. has been providing Stanton bee removal services. For any problem concerning bees, swarm or colony, give us a call today at 949-497-6264 and we are ready to deal with any bee situation you may have. Contact your Stanton Bee Removal Experts Today!